If increasing efficiency at your company is one of your goals - this conveninent check writing system will help you accomplish it! 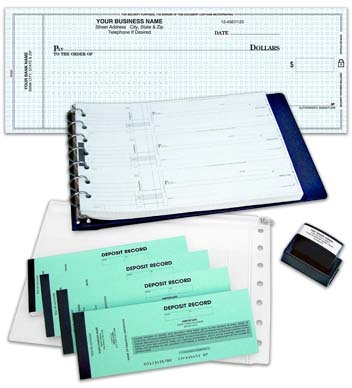 The kit includes a set of Multi Purpose Self-Mailer Checks. This documents can be used for payroll and general disbursement with the added bonus of making it easier to mail your checks. 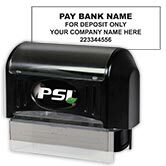 The payee's name and address will display clearly through the window of our Manual Check Envelopes. This package deal also includes 200 booked deposit tickets, a pre-inked Endorsement Stamp with 25-thousand impressions and a durable 7-ring binder with an organizer insert. That's some serious one-stop-shopping. Order your very own Multi Purpose Self Mailer Check Kit today!